What’s Fat Tuesday, and what’s “SEMLA”? Well, since I asked two questions in one sentence, I pretty much answered the first one, by asking the other. 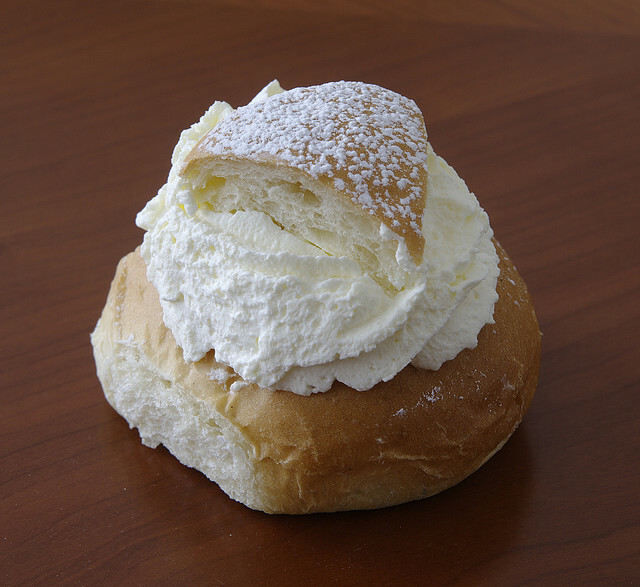 The “fettisdagen” is when we eat “semla”. Fettisdagen is always the last Tuesday before the beginning of the Christian Lent. And if you don’t know what semla is, here is a picture. = A beloved Child has many names. Practice and learn these useful Swedish adjectives – because you will most likely need to use them next time you eat a semla! And a semla recipe in English, for the ambitious and the poor guy not living in Sweden between January and Easter (which is the only time Swedes eat them), can be found here. Vill du ha recept på semla på svenska? Här är en länk till dig. * Note that “god” in Swedish is most often used about food (and yes, also in situations like “god morgon…). Most often the Swedish word “bra” is a better translation to the English word “good”.